Sewer Services Done Right The First Time! Since 1958, Lapin Services has provided quality septic-to-sewer conversions, drain cleaning, and sewer installations, maintenance, repairs, and replacements throughout Central Florida. We also provide site development services in the state of Florida. Hiring Lapin’s assures you the job will be done right. Our technicians are professionally trained and offer years of experience. Whether you need to convert from septic to sewer, or you are having a drain backup emergency, give us a call today at 407-841-8200! We can help you with that project with quality and assurance. Inspecting pipes for dips, breaks, debris, restrictions, verifications, infiltration, etc. Sewer and Drain cleaning – We have various options to clean and rooter your drains and sewer systems of any size. Lift Station services and construction – Not only do we inspect and maintain lift stations, but we install them as well. Septic to Sewer conversions – We install septic systems, but also remove them and replace them with sewer connections. We have done this in over 1,000 locations in Central Florida. Site Development – Installing new sewer systems of any size and complexity is one of our many services we provide as complete site development. 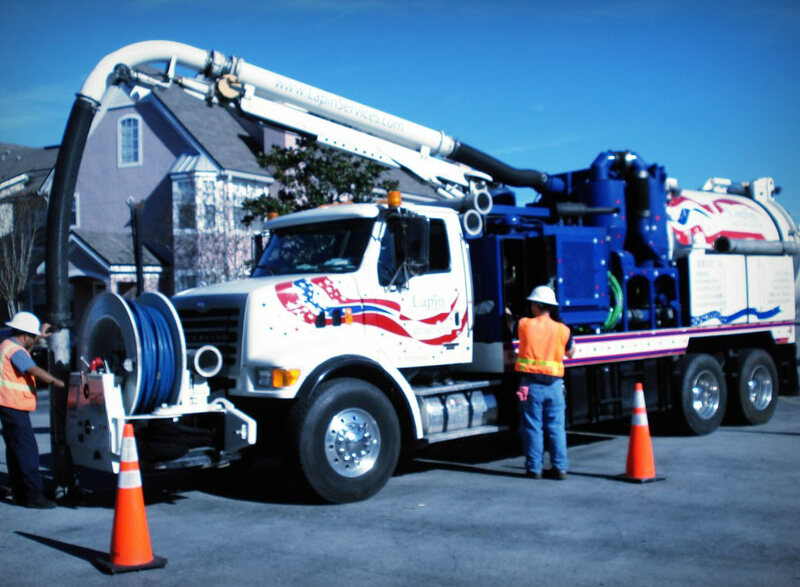 Vactor Services – We have a fleet of vactors and vaccons ready for all maintenance and emergency services. We have state of the art equipment from sewer combination cleaners to jetter trailers. Confined Space Entry Certified – Many of our technicians are qualified and trained regularly in the safety of confined space entry for repairs and cleaning purposes. Wastewater Plant Cleaning – We clean digesters and clarifiers and many other processing tanks at water reclamation facilities throughout Florida.